Help is on the way for an industry beset by labour shortages when Kiwi company Jenkins Freshpac officially launches hi-tech automated robotic apple packer into the New Zealand and international market this month. Jenkins Freshpac Systems, a subsidiary of Jenkins Group Limited, has the licence to distribute the technology developed by Bay of Plenty company Robotics Plus in New Zealand. Jenkins Group Limited has also joined forces with US-based Van Doren Sales, Inc., to sell the packer into the global market under a new joint venture GlobalPac Technologies. The commercial release of the robotic apple packer which also has the ability to be utilized in other produce packing applications has been widely anticipated after five machines were successfully trialled in Nelson last year. Jenkins Group, who collaborated with Robotics Plus on the trial, is a 136-year-old family-owned New Zealand company with a strong presence throughout the fresh produce sector providing end-to-end packing and labelling solutions. “We searched all over the world for innovative solutions for the increasing challenges our horticulture clients face – and we found the automated technology for apple growers right here in our own backyard,” said Jamie Lunam, General Manager of Jenkins Freshpac Systems Limited. 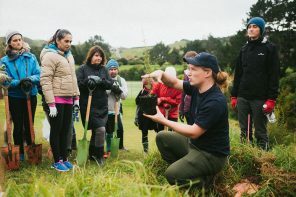 In March this year, the Hawkes Bay apple industry was in crisis facing a shortage of 400 seasonal workers needed to pick more than 14 million cartons of apples. The Ministry of Social Development declared a labour shortage in the region allowing overseas visitors with visitor permits to work on orchards and vineyards however they still struggled to fill positions. “The robotic apple packer has been developed to help situations like these” said Lunam. “There is a national labour shortage in the sector at the most critical stages of the season, and it’s going to get worse. We’re delivering a solution to the problem of ensuring New Zealand produce reaches key export and local markets”. The apple packer, which identifies and places the apples in their trays, has the ability to safely handle up to 120 fruit per minute which is the equivalent of two people. Three Robotics Plus apple packers have already been installed in commercial post-harvest operators in New Zealand and the US. 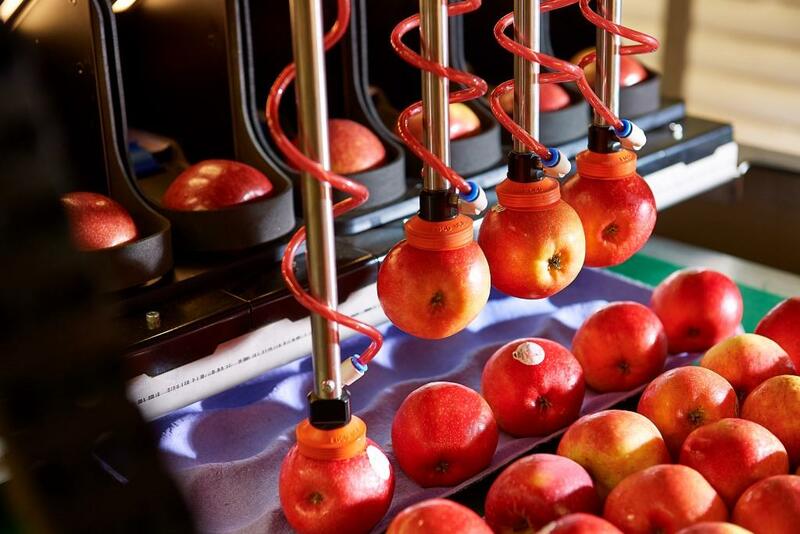 The US apple sector, which produces an estimated 4.7 million tonnes annually, is seen by Jenkins Group and Robotics Plus as a potentially huge market, with an estimated 70-plus packhouse in the US of sufficient scale to consider a robotic apple packer. Van Doren Sales, Inc. is headquartered in Washington State, which accounts for 66 percent of US apple production. However, Jenkins Freshpac is focusing on developing the market in New Zealand, which currently produces approximately 574,000 tonnes of apples annually, with new plantings coming on every year. Robotics Plus owner Steve Saunders said he and Dr Alistair Scarfe, the company’s co-founder and Chief Technology Officer, have spent almost eight years developing a range of robotics products for the horticultural processing sector and nurturing key talent. “We’ve spent a lot of time testing our apple packer and are now comfortable in saying the technology is reliable and affordable and we can take it to the marketplace,” said Saunders. Cameron McInness, Director, Jenkins Group, says it has worked with Van Doren Sales for decades, and the US company is recognised as a global leader in supplying innovative post-harvest systems and solutions. “We are committed to investing in international partnerships,” he says. “And the growth of the apple sector in New Zealand has underpinned the decision to invest in working with Robotics Plus. Our customers are growing and, based on the labour shortages, they need to find another way to get their fruit out to market.